With a unique carabiner style cap, this hand sanitizer can travel with you everywhere. Clip it onto your belt loop, back pack, purse, or lanyard. Contains 10ml 0.34 oz of citrus scented anti bacterial spray. Meets FDA Standards. One color imprint is included in one location in the price. 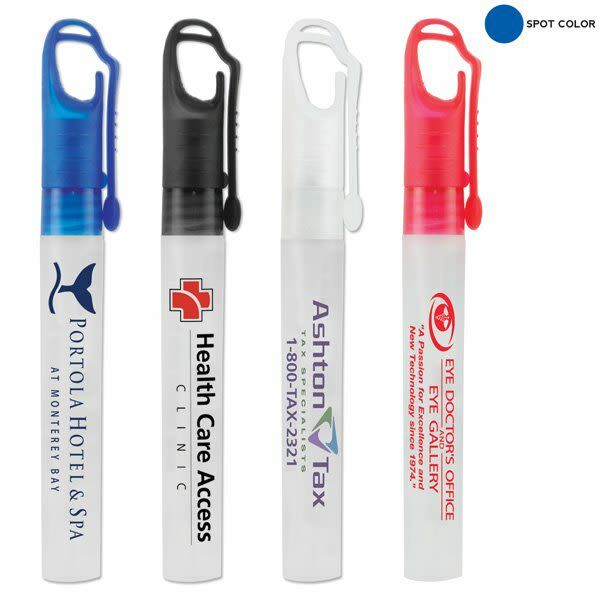 Additional imprint colors are available for an added cost. Please feel free to give us a call.